Please fill out all the information and a representative will get in touch with you. Your information is encrypted and is sent securely to us. Armortech Windows and Doors, Inc.
Use this map to not only get a bird's eye view of our showroom location, but to also enter your starting address for turn by turn travel directions to our showroom. 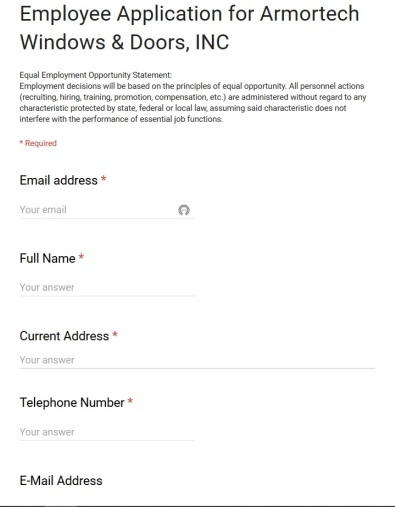 Please fill out this form in its entirety, and be sure to enter the correct Recaptcha answer as this helps us ensure this form is being filled out by a live person.